The faculty and staff of the Community College of Rhode Island have established four critical abilities that define the learning outcomes of a CCRI graduate. These four abilities can be applied in many contexts and are critical skills that must be developed not only at CCRI but over the course of a lifetime. These core abilities are reflected in our General Education Core Requirements and guide students, faculty and staff in establishing educational goals and assessing learning within and across the primary domains of knowledge: arts and humanities, science and mathematics, and the social sciences. Present a central idea, supported by concrete, relevant details. Identify and analyze complex ideas. Locate, evaluate and use information effectively. Demonstrate an understanding of mathematical, quantitative or scientific principles. Apply mathematical, quantitative or scientific principles in solving problems. CCRI is committed to providing quality education and assuring that students acquire the knowledge and skills necessary to be successful. Assessment of student learning provides the information needed to make improvements in program structure, course content and pedagogy. To this end, information, including samples of student work provided by faculty, may be collected at the classroom, department and institution levels. The information collected is completely anonymous and has no impact on student grades. Aggregated results are used for program planning purposes and may be included in institutional research analyses and reports. In addition, students may be asked to submit samples of their coursework and engage in focus groups. They also may be asked to complete a questionnaire assessing the quality of academic services. These activities help determine the extent to which students demonstrate competency in the areas outlined in CCRI’s Definition of an Educated Person and in their area of concentration. A minimum of 20 credits of General Education coursework is required to meet the accreditation standards established by the New England Commission of Higher Education (NECHE) for associate degree programs. Each degree program at CCRI includes courses from the three broad General Education categories of Humanities, Mathematics and Science, and Social Sciences. To ensure both breadth and depth, a minimum of three credits from one area and a minimum of six credits from two areas are required. 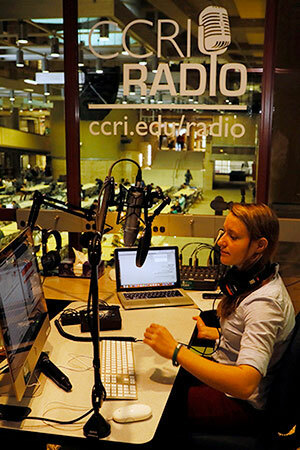 Most CCRI degree programs have specific General Education requirements as outlined in their program requirements, and many include more than the minimum requirement of 20 General Education credits. All courses within each of the specific disciplines must be numbered at the 1000 level or higher to qualify as fulfilling the General Education requirements. The following courses have been approved for meeting general education credits within the listed disciplines. Many courses have been assigned an attribute, a quality that signifies that a particular course will satisfy a specific academic program requirement. Please see individual Programs of Study - Degrees and Certificates pages for more detail. For a complete listing of courses in each attribute category, select the specific link below. Some programs may have more stringent grading matrices. The following designations are not calculated in the grade point average. This is used for noncredit courses except MATH 0099, 0100 and 0101 and field experience. This temporary grade designation is awarded at the end of a course. It is awarded only when a student is PASSING, has attended or completed at least 75 percent of the course and is unable to complete the course due to extenuating circumstances (e.g. illness, death, unforeseeable accident, unavoidable circumstance.). With the instructor’s consent, a Contract for Completion of Incomplete Coursework form must be completed by the instructor and student with the understanding that all remaining work must be completed by the end of the following semester. (Exception: If I is given in spring, work must be completed by end of fall semester.) Should the work not be completed by the established date of the contract, the I will change to an F.
This is used when a student officially withdraws from a course during weeks three through 10 or two-thirds of the length of the course. It is included in attempted credits but not in the grade point index. This is used when a student unofficially withdraws from a course at any point in the course and has a passing grade. It is included in attempted credits but not in the grade point index. This is used when a student unofficially withdraws from a course at any point in the course and has a failing grade. It is included in attempted credits but not in the grade point index. This is used when a student unofficially withdraws from a course before the instructor has made any academic assessment. It is included in attempted credits but not in the grade point index. Refer to Academic Information/Audits on page 32 in this catalog. Grades are available online through MyCCRI provided all financial obligations to CCRI are met. In-house credits are counted for time status (full time or part time) and for reasons of financial aid and academic progress. They are not counted in overall GPA, do not count toward any degree or certificate, and will show on the student transcript as “exclude credit.” An asterisk (*) following a letter grade on a transcript indicates in-house credit. The main goal of any academic standards policy is to provide assistance to those students who are experiencing academic difficulty. An early warning to students experiencing academic problems often results in their seeking academic support through a variety of options that help students achieve academic success. An early warning may limit the number of credits a student may take in a semester. They also may be required to select special courses or other student support options that provide special academic assistance. The goal for the college and its students is to improve academic performance so that students may attain their academic and career goals. The following chart details the measures that will be used to determine a student’s academic standing. The standards have a quality component (GPA) measured against a quantitative component (number of credits attempted). * Students who are dismissed from a degree program are not permitted to enroll in courses as a nondegree student until they have consulted with an advisor to develop an academic plan of study. † Students receiving financial aid must remain in good academic standing and are required to successfully complete a minimum of 67 percent of all courses attempted. Academic Warning: Students are restricted to 13 semester credits and may be required to take three credits of developmental courses. Students must see an academic advisor. Academic Probation: Students are restricted to 10 semester credits. Students are required to see an academic advisor who may require at least six of the 10 credits to be developmental courses. Program Dismissal: Students will be dismissed from their program of study. These non-matriculating students must see an academic advisor to review various academic and developmental options to regain good academic standing. When the student is readmitted to his or her program of study, that student will remain on probation for one academic semester. The academic advisor will determine the number of credits allowed for study. The developmental interventions and academic options may include a variety of skill development coursework, career skills/goals assessment, and program change or course load reduction. Students may appeal program dismissal status to the Committee on Academic Standards. The letter of appeal will be addressed to the Academic Appeals Committee and mailed to the Office of the Dean of Arts, Humanities and Social Sciences, 400 East Ave., Warwick, RI 02886. If a student requests forgiveness for a course or courses in which he or she has earned a grade of D or F, the credits earned in any such course or courses will be removed from the total credits earned and the student will receive no credit for the course. However, courses including grades will remain on the student’s official transcript designated with a special code for academic renewal. All requests should be submitted using the Academic Appeal Form and forwarded to the Academic Appeals Committee. Waiver forms are available from any advisor/counselor in the Advising and Counseling office on any campus. After three consecutive years of nonattendance at CCRI, a student may request academic renewal based upon past academic performance. After the student completes 12 credits with a GPA of 2.5, the request will be reviewed by the Academic Appeals Committee. If the student’s request is approved by the Academic Appeals Committee, grades of D or F for the courses from the prior attendance period will be excluded from the calculation of the student’s grade point average. However, the courses and grades will remain on the student’s official transcript designated with a special code for academic renewal. A student may request academic renewal based upon a change of program of study/ major any time after matriculation and after completion of 12 or more credits with a GPA of 2.5 in his or her new program of study. If a student’s request is approved by the Academic Appeals Committee, grades of D or F in courses that were required by the previous program but are not required by the new program will be excluded from the calculation of the student’s grade point average. However, courses, including grades, will remain on the student’s official transcript designated with a special code for academic renewal. The Academic Renewal Policy applies to matriculated CCRI students who have completed 12 credits with a GPA of 2.5 or better. *For financial aid purposes, all attempted credits and grades from all courses (GPA), including those that were forgiven, must be included when determining financial aid eligibility. For details on the standards required for financial aid, visit this page. All past academic work will remain part of the official transcript but will not be averaged into the cumulative grade point average. Academic standards specified by the Health and Rehabilitative Sciences programs supersede the college-wide academic standards. Students in these programs must follow the established academic standards policies for the specific department/program. Please refer to the specific program pages of this catalog or the respective department Web pages for specific policies and standards. The academic calendar for each semester/term can be found on the online college calendar page. To be considered enrolled full time, students must register for at least 12 credits. Any student who is registered for fewer than 12 credits is considered a part-time student and is billed accordingly. Consult Advising and Counseling to make sure you don’t need to take more than 12 credits per semester: advising@ccri.edu or 401-825-2301. Students may drop a course from their schedule without permission of the instructor during the published drop period found on the online college calendar. While permission to drop is not required, we strongly encourage each student to consult with the instructor, or in the case of those students who withdraw from the college, to speak with the Department of Advising and Counseling. Students must use the online MyCCRI system to officially drop a course. Courses officially dropped prior to the end of the official published drop period are not graded and do not appear on the college transcript. Courses officially dropped during weeks two through 10 are graded with a W (official withdrawal) and appear as such on the transcript. Official withdrawal from a course is not permitted after week 10 or two-thirds the length of the course. Modular courses may be officially dropped and/or graded with a W depending on each course’s official drop period. Consult the Office of Enrollment Services regarding modular course official drop periods: webadmission@ccri.edu or 401-825-2003. If students decide to drop a course that constitutes only a part of their schedule (leaving other courses of study in their schedule), they should follow the official drop procedure as noted above. Students will be subject to the prorated fees and rules as specified. Prior to the start of classes, CCRI courses have an electronic wait list for students registering for this academic year. There are a few exceptions. Nursing courses do not have a waitlist option. The wait list is activated when the maximum enrollment for a class is reached and allows additional students to indicate an interest in the class. Students on a waitlist will not be added to the class automatically. When an existing student drops the course, a MyCCRI email notification goes out to the first student on the waitlist. That student has until the date and time indicated in the email notification to register. If the student does not register by that date and time, a MyCCRI email notification will go to the next student on the waitlist. The student who originally received the notice is no longer eligible to register for the course and is no longer on the waitlist. Students wishing to get back on the wait list must go to their MyCCRI account, drop the waitlisted course from their schedule, click Submit, and then re-register for the waitlist if there are still seats available. Students may register online for classes only if there are seats available. If a course section is at capacity, faculty will have the option to assign the student a capacity override. Students issued a capacity override will receive a MyCCRI email notification with registration instructions. Students must register themselves using MyCCRI. Courses that do not meet minimum enrollment standards will be canceled according to the college calendar for each semester. Any student affected by a cancellation will be notified via campus email prior to the first meeting. Registration for another section may be done online. Refunds due to course cancellations are made in full. This policy governs all CCRI credit-bearing courses. For each credit hour, academic lecture courses will include one contact hour (50 minutes) involving direct faculty instruction (or its equivalent online) and a minimum of two hours of out-of-class work per week over a 15-week period. One credit hour will be awarded for laboratory and field/clinical courses which meet from 120 to 180 minutes per week over a 15-week period. The amount of time assigned to laboratory and field/clinical courses is determined by a consideration of the transfer of theory to practice. For courses meeting in shorter timeframes, comparable equivalencies of contact time and out-of-class work are established. This means, for example, that students in a three-credit course will meet with the instructor for 150 minutes (3 credits × 50 minutes) per week and will be responsible for an additional six hours (3 credits × 2 hours) of out-of-class work/homework. Laboratory or field/clinical courses will meet for three hours of direct faculty instruction plus an additional two to three hours of laboratory or field/clinical experience each week. Classes will meet for 15 weeks unless courses are specifically identified as having an alternate timeframe. Department chairs may waive course prerequisites online through the first week of classes. Students must register themselves through MyCCRI during the published add period. Where “permission of instructor” is indicated in the course description of the catalog, instructors may assign an electronic override after the published add period. Students must register themselves through MyCCRI. For information about the late registration period refer to this page. Students registering after the tuition due date must make payment on the day they register. When a student retakes a course for any reason, only the highest grade earned will be figured into the cumulative grade index. However, all the grades received for the course will appear on the student’s transcript. The recomputation of the highest grade earned in the cumulative index is automatic. This change must be made before the degree or certificate program is completed. Please note that repeating classes will affect a student’s financial aid eligibility. If a student drops all courses (or a course that is the only one for which he or she is registered), the student is considered to be withdrawing from the College for that term. Students who withdraw after the add/drop period must do so by completing an official withdrawal form through the Department of Advising and Counseling: advising@ccri.edu or 401-825-2301. Leaves of absence are issued only for Health Sciences programs. Students may request a leave from their program of study by completing a Leave of Absence form available from the department chair of their program. The leave of absence does not officially withdraw the student from the College. Students must complete an official withdrawal form through the Department of Advising and Counseling. If a Leave of Absence form is not filed, students may not be readmitted to their program upon returning to CCRI. Students whose leave forms are signed by the department chair may be granted a leave of up to two consecutive semesters. Students who find it necessary to leave CCRI and who are enrolled in programs other than a Health Sciences program do not need to fill out a Leave of Absence form. They must, however, officially withdraw from the college. Regular class attendance is an essential part of student success in community college life. When the number of absences becomes excessive, the privilege of continuing in the course is jeopardized. Students are responsible for making up all academic work missed for any reason. During the verification of enrollment (attendance) period, faculty will be reporting the names of the students who have attended their classes in the first week of the semester. Attendance is a condition of enrollment. Students must attend class during the first week of class or contact the instructor to make arrangements to continue in the course. If the instructor does not hear from the student during the first week of class, the student will be dropped from the class as a “no-show.” Being marked as a “no-show” means that the student is no longer officially enrolled in the class. Students marked as a “no show” will be sent an email notification that they have been dropped from the course. In cases where a student believes he or she was erroneously marked as a “no-show,” a request can be made for re-admittance. The instructor will have the option of assigning an electronic permission code which will allow registration back into the class. Individuals may audit lecture courses. This means that students may attend and participate in classes but choose to receive no grade or credits. To register as an auditor, students should follow the in-person registration procedures, indicating at that time the desire to audit. Auditors pay tuition and fees. Financial aid does not cover audits. CCRI students are provided the opportunity to participate in experiential learning outside the classroom. 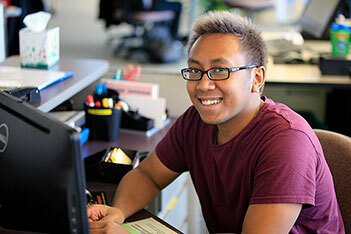 This option includes a supervised work experience related to a student’s academic interests or program of study. The work experience can be for academic credit or as a noncredit internship. If taken for credit, students develop learning objectives to practice and reinforce classroom theory. The work experience gained before graduation helps students confirm career choices, builds credible work experience, provides opportunities to network and gives students a competitive edge in the job market. Students who choose to earn academic credit can receive four to eight credits by completing one to two semesters of Cooperative Work Experience. These seminars are taken in conjunction with a field (work) placement. (see Cooperative Work Experience MEDL 2910 and LIBA 1010). JAA students are encouraged to talk to their academic advisor about transferability of Cooperative Work Experience credits. Alternately, students can choose to participate in internships without academic credit to build experience in their field. For more information, call Career Planning at 401-825-2322. Put your prior learning, knowledge, and experience to work at CCRI. We have a long history of and commitment to recognizing, evaluating and awarding college credit for knowledge gained outside of CCRI, providing accelerated pathways to reduce the time and cost of acquiring a degree or certificate. Students can earn college credit for prior learning in their field of study. This list below shows some of the opportunities to earn Credit for Prior Learning. Find out more at Prior Learning. UExcel® and Excelsior College® Examinations. To find out if you are eligible for prior learning credit, contact the office of Academic Affairs. has achieved a grade point average of 3.25 or higher with no grade lower than C for the current semester. Note: Students who earn a grade of I, IC, WP, WF are not eligible for the Dean’s List. Students dismissed from the college or a program for academic, social or other reasons are notified in writing at the time of dismissal. Some departments and programs have specific dismissal policies and students should acquaint themselves with them. Note: To be eligible for honors, students must earn at least one-half of the credits for their program at CCRI. The Community College of Rhode Island will award multiple associate degrees of the same designation only if there is a 30-credit difference between the two programs in which the degree is being earned. Spring graduates will be confirmed in May. Fall graduates will be confirmed in December. Summer graduates will be confirmed in August. The Honors Program reflects the college’s commitment to academic excellence. By creating learning communities and by strengthening the opportunities for intellectual dialogue, the Honors Program enhances the educational experience at CCRI. Students can earn honors credits through supplementary projects within existing course sections and specially designated “honors” courses. Each honors project must be sponsored by an instructor. Students may take a maximum of two honors projects in any one semester. To be eligible for the Honors Program, students must have completed at least 12 semester hours and earned at least a 3.25 grade point average. Participation in the Honors Program provides students an opportunity to acquire additional knowledge and skills. Students and faculty work together as “colleagues in learning” – a cooperative spirit that reflects the fundamental purpose of the academic community. In addition, the student’s official transcript will reflect all honors credits. These unique designations on the transcripts not only promote transfer to four-year institutions, but also can lend an advantage with regard to competitive status in the workplace. An extra half credit is available for honors projects integrated into existing course sections. Students who complete four honors projects or more at CCRI will receive special recognition at the graduation ceremony. For more information, email Lynne Andreozzi-Fontaine, Ph.D., at landreozzifont@ccri.edu or Karen Kortz, Ph.D., at kkortz@ccri.edu. CCRI offers a study abroad program through the College Consortium for International Studies. This program provides students the opportunity to study in one of more than 30 countries on six continents to enhance their educational experience through exposure to new cultures and educational systems. A study abroad experience can be a path to self-reliance, independent thinking, and valuable job skills. The consortium consists of more than 100 two- and four-year public and private colleges and universities (some of which are sponsors) that cooperate to offer students study abroad opportunities each year. A wide range of academic programs is offered. Except for language studies, most courses are taught in English. All programs are accredited and approved by the college and the consortium. Study abroad programs are available for a semester, full-year or summer. For more information, call Deborah Notarianni-Girard, Ph.D. at 401-825-2254 or visit the World Languages and Cultures website. Students may be eligible for financial aid. Call 401-825-2468 for more information. Any full-time student enrolled in a degree program may enroll in a maximum of seven credits of his or her full-time schedule during each of the fall and spring semesters at the University of Rhode Island and/or Rhode Island College at no additional expense. Students must be enrolled for at least five credits at CCRI and the total number of credits taken at all institutions combined must be at least 12 credits but not to exceed 18 credits. Summer session registrants are not eligible for this program. Students interested in participating in this agreement should contact the Office of Enrollment Services. Following completion of the course(s) at the University of Rhode Island and/or Rhode Island College, students must have an official transcript sent back to CCRI’s Office of Enrollment Services as noted on the signed agreement. The CCRI Financial Aid Consortium Agreement may be used by students receiving financial aid who are enrolled in a degree-granting program at CCRI and want to enroll at another institution at the same time. This also may apply for summer enrollment and/or Study Abroad. CCRI’s Financial Aid office will pay only for courses that are required for the student’s current program of study. Financial aid can be received at only one institution per semester/term. To have a student’s financial aid applied for classes taken at another school, each semester the student must complete a consortium agreement and proof of enrollment at the “host” institution. The consortium form must be returned to the CCRI Financial Aid office. Tuition payment arrangements must be made with the “host” school. Financial aid funds paid by CCRI for consortium classes may not be available until four weeks after the start of the Community College of Rhode Island’s semester. At the end of the semester/term, the student must request that an academic transcript for classes taken at the “host” school be sent to CCRI. These transcripts must be received before additional financial aid can be applied or disbursed at CCRI. CCRI Financial Aid Standards of Academic Progress apply for classes at “host” schools through a consortium agreement. The consortium agreement must be completed and approved within 30 days from the first day of classes for the current term at CCRI. CCRI requires that all students accepted into a degree or certificate program complete the mandatory ACCUPLACER writing, reading and math placement tests before registering for classes. Nondegree students who wish to enroll in a course requiring a prerequisite also must complete the ACCUPLACER test. This assessment does not affect admission, but the results help to place students in appropriate courses. Students who have taken ACCUPLACER at another college within the last year must have an official copy of the scores sent to the Department of Advising and Counseling at any campus. Testing takes approximately 2.5 hours and can be completed in the Department of Advising and Counseling. Any student found to have committed plagiarism misconduct is subject to the disciplinary sanctions outlined in the Student Handbook available on the Dean of Students website. Students who stopped attending for at least one semester are required to register for classes through their MyCCRI account and are held to the degree requirements published in the catalog for the year they return. Information concerning this process is located in the Admissions section of the college’s website.